There were three winning tickets for Wednesday's $1.5 billion Powerball -- by far the biggest U.S. lottery jackpot of all time. 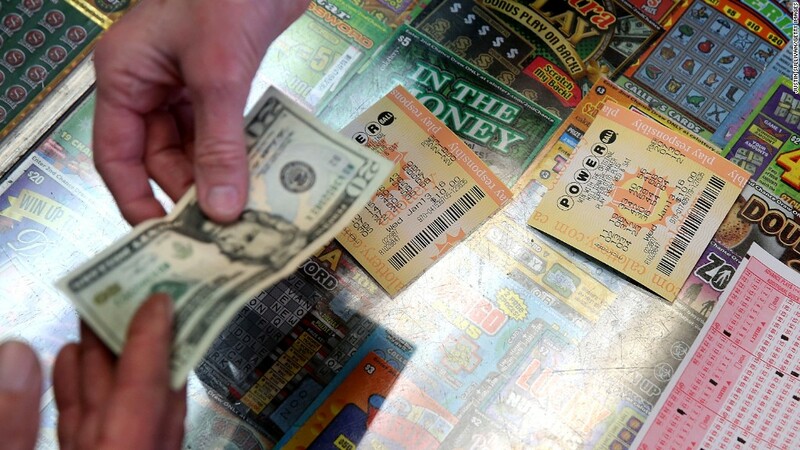 Jan. 13, 2015: The winning tickets were sold in Chino Hills, California; Munford, Tennessee; and in Melbourne Beach, Florida, according to state lottery officials. Balbir Atwal, owner of the 7-Eleven franchise in Chino Hills that sold one winning ticket, said it was "very exciting." "I didn't expect this big crowd but my Chino Hills customers love me, and I love them," he said. Atwal, who has owned the store for 24 years, will receive a $1 million bonus for selling the winning ticket. March 30, 2012: According to Mega Millions, this was the single largest jackpot pooled by any lottery in the world. Ever. But like most of the other grand prizes on this list, the pot was split among multiple winning tickets with all the right numbers. This jackpot had three. A retired couple from Illinois, Merle and Patricia Butler, received one of the $218.6 million slices of the top prize. "We are just everyday people who have worked hard all our life...We just happened to hit it big," Merle said. Patricia added that they planned to use "part of the winnings to do some real good." 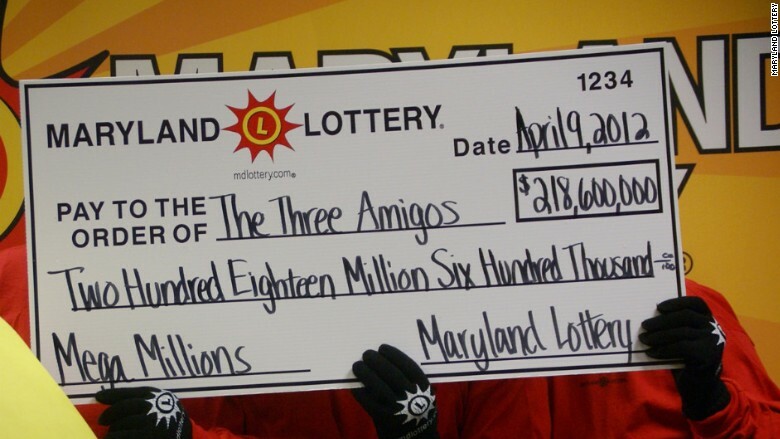 Another winning ticket was divided among a group of friends in Maryland that dubbed themselves the "Three Amigos." The third winner is still unknown. That ticket was purchased in Kansas, which is one of the few states that allows lottery winners to remain anonymous. 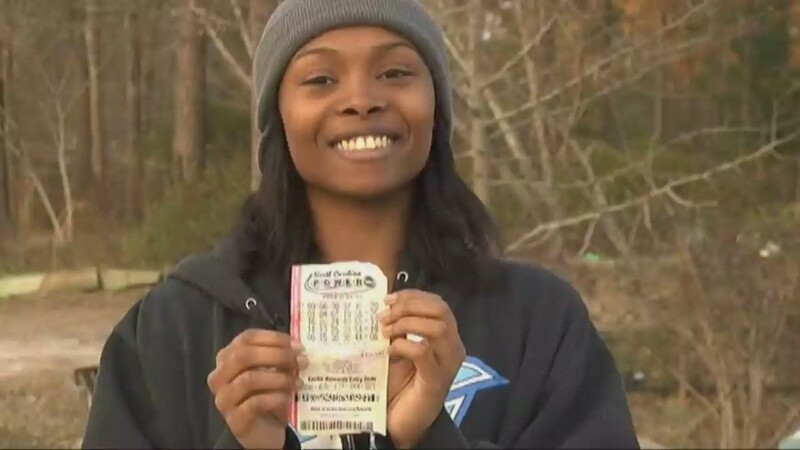 Dec. 17, 2013: Two winners split this jackpot, including Ira Curry, a Georgia woman, who said she bet on a combination of family birthdays. Nov. 28, 2012: Winner Matthew Good managed to remain anonymous after he learned that he had one of the two winning tickets. But thanks to public record laws, the Arizona resident's identity was eventually revealed. 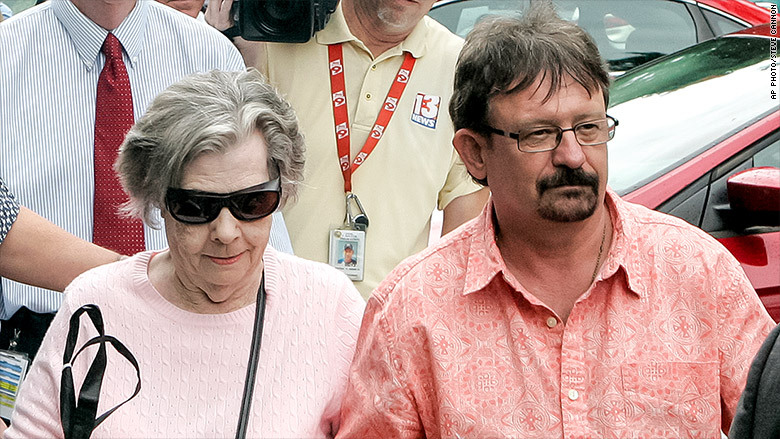 The other winners, Cindy and Mark Hill of Missouri, had warned their daughter not to get her hopes up because winning "probably never happens." But after realizing their ticket had the winning combination, they made plans to take her to the beach and buy her a horse "in a couple years." Oh, and, for Mark, a red Camaro. Feb. 11, 2015: One of three winners was Marie Holmes of North Carolina. The single mom used to work at Walmart (WMT), Food Lion, McDonald's (MCD) and Subway to support her four children, including a seven-year-old son with cerebral palsy. She said she plans to spend her winnings on her kids, finishing college, donating to charity, and buying her mother a house. The other two winning tickets included one purchased by an anonymous player in Puerto Rico. The last was cashed in by Andrew Weber, who claimed it on behalf of a trust in Texas. Aug. 7, 2013: This one's a heart warming tale. One of three jackpot tickets was bought by a group of 16 victims of Superstorm Sandy. Dubbed the "Ocean's 16" -- they worked for the Ocean County vehicle maintenance facility. Another winner was a project engineer in Minnesota who said he had dreamed of taking home the prize "so many times in my head." The third was claimed by a 70-year-old man in New Jersey. Feb. 19, 2014: B. Raymond Buxton walked into a California lottery office on April 1 wearing a t-shirt that read: "Luck of the Jedi I Have." He wasn't kidding. The California retiree was the drawing's sole winner. Buxton said he would use the winnings for charitable causes and travel. March 18, 2014: One of two winning tickets was bought at a liquor store in Maryland and cashed in by an anonymous player. The other belonged to Floridians Raymond Moyer and Robyn Collier. They said they plan to invest, travel and attend Notre Dame football games with their winnings. Sept. 18, 2013: South Carolina allowed this winner to shield his or her identity, so all we know is that this winning ticket was sold in at a Murphy USA gas station in Lexington, South Carolina. March 6, 2007: A couple living in New Jersey, Elaine and Harold Messner, plan to use their $195 million cut of the jackpot to retire early. Another winner, Georgia truck driver Eddie Nabors, told Forbes he wants to "do a lot of fishing." 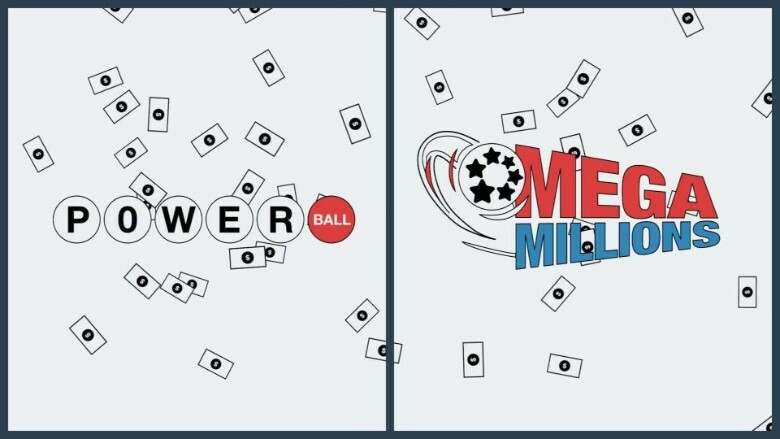 Powerball and Mega Millions are played in 44 states, plus D.C. and the U.S. Virgin Islands. Puerto Rico participates in only Powerball, and six U.S. states -- Hawaii, Alaska, Nevada, Utah, Mississippi and Alabama -- don't participate in either game. --CNN's Gregory Wallace contributed to this report.